Point2 Homes gives you far more than a simple list of houses for sale. Get instant access to a lot of relevant information about Manotick, Ottawa, ON real estate, including property descriptions, virtual tours, maps and photos. The search results pages also have a wealth of information on Manotick, Ottawa, ON, if you scroll all the way down. 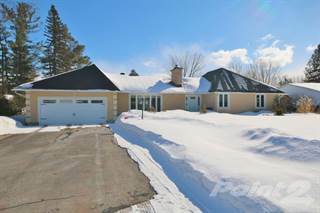 There are 46 houses for sale in Manotick, Ottawa, ON. 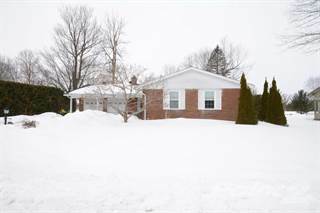 Searching homes for sale in Manotick, Ottawa, ON has never been more convenient. With Point2 Homes, you can easily browse through Manotick, Ottawa, ON single family homes for sale, townhomes, condos and commercial properties, and quickly get a general perspective of the real estate prices. Also, you’ll never miss a bargain if you filter listings based on house price drops in the past six months. Use the map view to find Manotick, Ottawa, ON homes and apartments for sale, based on amenities or city features that you may want close by. You can close in on a specific neighbourhood or area by simply drawing around them with the polygon or radius tools. Stay informed about the latest entries on the real estate market by saving your searches. This way, you get new listings in your inbox, daily or every week, based on your preferences. If you’d like to get in touch with a professional, agents are displayed next to their listings, and they’re easy to contact through the online forms. If you want more options, you can click the Tools tab and Find an Agent, and you’ll get a list of helpful and knowledgeable real estate agents in Manotick, Ottawa, ON. Visit the Point2 Homes blog and you can find up to date expert advice on many markets throughout Canada, regular market reports, neighbourhood scoops in cities throughout the provinces, real estate deals and useful recommendations. Manotick offers rural living in the city of Ottawa. Large houses on sprawling lots, an abundance of trees and greenspace, and a river running through the centre of the neighbourhood can make residents forget they are actually in the city. The history of the neighbourhood is celebrated through the restoration and maintenance of important sites, as well as through events like Dickinson Days, which honours the founder of Manotick, Moss Kent Dickinson. Manotick is located in southern Ottawa, along the Rideau River. It extends from the Veterans Memorial Highway (416) in the west to Manotick Station Road in the east, and from Barnsdale Road / Rideau Roadin the north toHighway 6in the south.Recreation opportunities abound in Manotick, with several community centres, sports fields, and dance studios to choose from, as well as many walking/biking trails throughout the neighbourhood. Residents can also participate in a variety of festivals and events held in the neighbourhood throughout the year. Watson’s Mill is a flourmill from the 1860s that was originally called the Long Island Flouring Mills. A man named Harry Watson purchased the mill in the 1940s and was the last operator to use the mill industrially, and it has been named in his honour. The mill is now a museum that showcases how it would have originally operated, and many events are held throughout the year at the site. Milling demonstrations show how flour is made, and visitors can purchase flour milled at the site. The mill even has a long-standing ghost story. Those who love to golf can choose from two golf clubs in the neighbourhood: the Carleton Golf and Yacht Club and the Rideau View Golf Club. The Carleton Golf and Yacht Club has an 18-hole course and includes an onsite restaurant and pro shop in the clubhouse. The Rideau View Golf Club also has an 18-hole course as well as a practice area, and includes an onsite restaurant and pro shop. Babbos Cucina Italiana on Beaverwood Road is a cozy spot where customers can enjoy modern twists on traditional Italian cuisine.The restaurant has a semi-private room that can be booked for events, and an outdoor patio area for when the weather is nice. Catering is also available. V’s Cupcakes on Manotick Main Street is a stylish bakeshop offering a range of beautifully decorated desserts, from cakes to cupcakes to cookies. Afternoon tea is served in the quaint dining area. Black Dog Bistro on Manotick Main Street features a modern rustic dining room and fantastic outdoor patio area, where customers can enjoy their meals and beverages. The restaurant offers sharing plates, so groups can order a variety of dishes to try. Located along the Rideau River, Kelly’s Landing on River Road offers great views from inside the restaurant, or from the outdoor patio area. Seafood takes centre-stage on the menu, and there are daily specials to choose from. Manotick is almost completely made up of single-family homes, with the exception of some row houses and other dwelling types.The average price for single-detached homes in the area is $559,450, which is slightly higherthan the average price for single-detachedhomes in Ontario overall ($518,000). The population of Manotick is 4,486, and this has been slowly increasing over the past 15 years. Families make up 46% of the population here, 40% are couples, and 14% are single. The average annual income is $102,530, which is much higher than the average annual income in the city as a whole, and 66% of residents are university or college educated. Manotick experiences some air quality issues from major transportation routes and industry in the area. Noise can be an issue near highways and commercial sections. The crime rate in Manotick has increased over the past several years.However, most of the crime committed in the area tends to be property-related rather than violent. Common types of crime in the area include assault, theft ($5,000 and under), mischief, fraud, and breaking and entering. The Ottawa-Carleton District School Board and the Ottawa Catholic School Board operate public primary and secondary schools in the neighbourhood. Examples of schools include St. Leonard School, Manotick Public School, and St. Mark High School. Private school options are also available. There are no post-secondary options in the neighbourhood, so residents must travel to the city centre to access institutions like Algonquin College, Academy of Learning College, Herzing College, the University of Ottawa, and Carleton University. OC Transpo operates a few routes in the neighbourhood, including routes 99, 186, and 305. Residents can use these routes to travel into the Nepean area to access routes to other areas of the city, as well as other transportation options. Manotick has a number of parks of varying sizes, including Beryl Gaffney Park, a forested area with walking trails and paths along the Rideau River; Centennial Park, with baseball diamonds, soccer fields, walking paths, tennis courts, and a playground; OSU George Nelms Park, which has multiple soccer fields and greenspace; Echo Park, with a basketball hoop, a baseball diamond, and a soccer field; A. Y. Jackson Park, with walking trails, forested areas, benches, and views of the Rideau River; and Walter Upton-Collins Park, which has greenspace, a baseball diamond, walking paths, a playground, and swings. The Manotick Arena and Community Centre has a community hall available for bookings, a kitchen area, and an ice rink with spectator stands. The centre holds numerous events throughout the year, including concerts, hockey games, ice skating sessions, dances, and ringette games. The Denise Smith Dance Studio offers classes for all ages and skill levels in ballet, gymnastics, jazz, hip-hop, tap, and lyrical. The studio also has programs for those who are interested in participating in dance competitions locally and elsewhere. To give their minds a workout, residents can visit the Manotick branch of the Ottawa Library. Besides a great selection of books for people of all ages, the library offers a variety of programs and events with themes such as storytelling, gardening, and history. The library also features work by local artists.